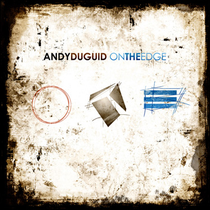 In 2008, Andy Duguid’s debut album, ‘Believe’, hardwired the Scotsman’s reputation as a skilled DJ/producer. Now, five years on, the follow up, ‘On The Edge’, is ready to be released on Black Hole Recordings on September 16. Featuring vocal turns from Julie Thompson, Jaren, Audrey Gallagher, Seri and other EDM singer-songwriters, the album brings 12 new pieces of music from the talented producer.